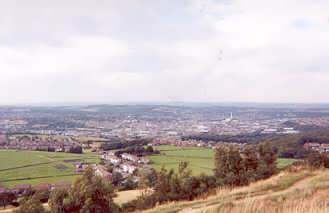 Huddersfield is a large industrial town in the Kirklees district to the south west of Bradford. Attractions in and around Huddersfield include John Smith's Stadium, the dark sentinel of the Victoria Jubilee Tower, (overlooking the town from Castle Hill to the south), and the Pennine village of Holmfirth in the Holme Valley (famous as the setting for the BBC TV series "The Last of the Summer Wine"), and Tunnel End near Marsden at the head of the Colne Valley. The Derbyshire Peak District is also within easy reach. Popular events held in and around the Huddersfield area include the Huddersfield Literature Festival. Case studies of projects in Huddersfield by Leeds based Avanta UK Ltd.